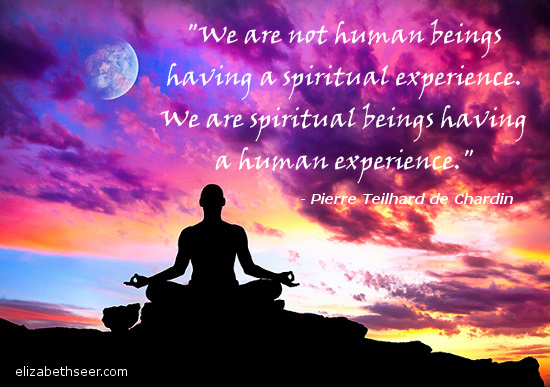 This quote from philosopher and priest, Pierre Teilhard de Chardin, has always rung true for me. I’ve never felt wholly invested in my body (which has shown at different times throughout my life), and I often forget that I chose this life. Therefore, I must fully live it! chosen life, material girl, spirit manifest, we are spirit. Bookmark.